With IMAX and VR and high-end (and highspeed) amusement park rides, carousels might feel a bit nostalgic. It’s understandable, they take us back to another time when life a bit slower paced. There’s no doubt you’ve probably ridden on one or two during your childhood and maybe since you were young, you took them a bit for granted. 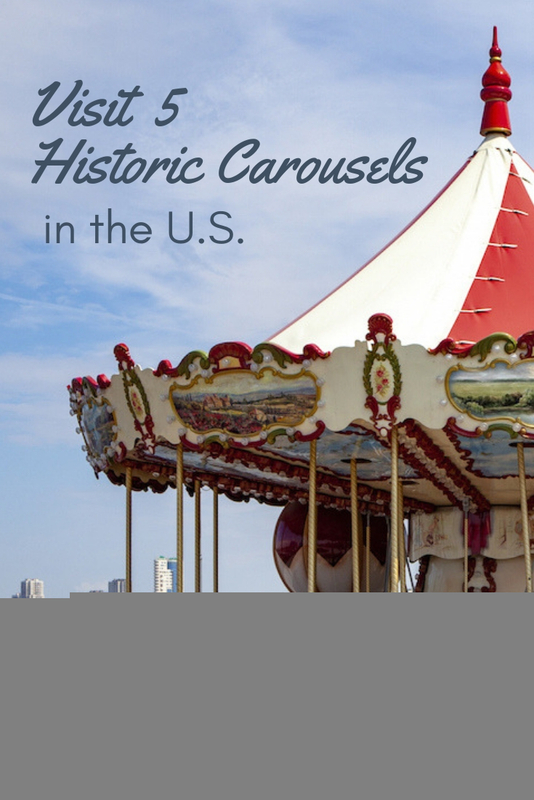 There are a number of historic carousels across the US that are still thriving every day. Many of these showcase spectacular craftsmanship and artwork that can transport you to another time. 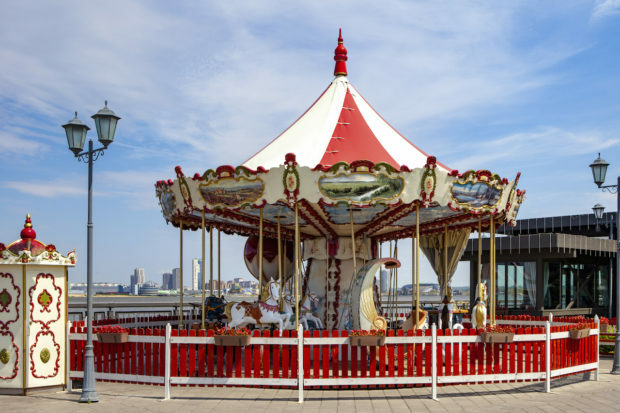 In this post, we’re going to highlight five of these historic carousels, where they are and what makes them special. 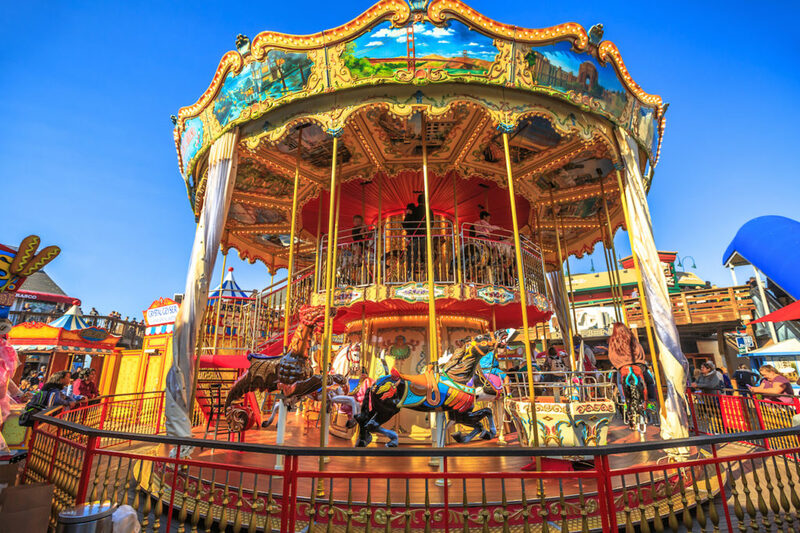 The Flying Horse Carousel located in the small beachside community of Watch Hill, Rhode Island was built in 1876 and is the oldest continuously operating carousel in all of the United States. It settled into its home in Watch Hill a few years later in 1883. In this carousel, the horses are suspended from a central frame, making it really seem like the horses are flying in any direction versus going up and down. If you venture to the other side of the country, you’ll find the San Francisco Carousel. This location is smack in the middle of the city’s famous Pier 39. So, while you’re enjoying a visit there, you have to give this old time ride a try. The carousel was handmade in Italy and has beautiful murals painted on it of famous landmarks you’ll find across San Francisco. There are 32 animals to ride, as well as sleighs, and spinning tubs. Back in 1905 when the Kit Carson County Carousel was first made it had the distinction of being one of the fastest in America. Kids (and kids at heart) could sit on the menagerie of animals like dogs, donkeys, and horses, and ‘fly’ at a whopping 12 miles per hour. Today, you can find it in Burlington, Colorado. And since it’s one of the few hand-carved wooden carousels still in existence in the country, it’s lovingly maintained. Take a trip to Madison, South Dakota, and you’ll find a very rare carousel. This one gets its power from steam! 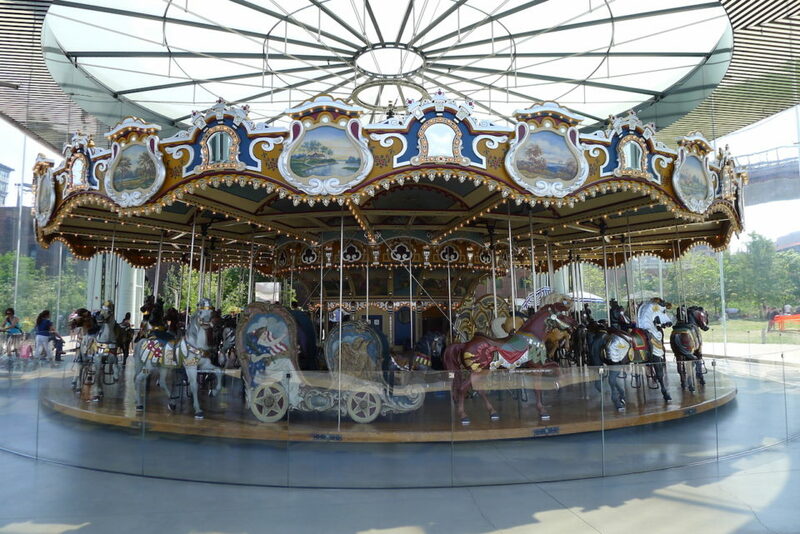 The Prarie Village Carousel is part of the historic Prarie Village which is a living museum that tributes farm and agricultural life through the ages. The carousel was first built in the late 1800s and toured all over the upper Midwest for years until it fell into disrepair. Now, after years of careful restoration, it’s back to its former glory. Jane’s Carousel is a popular attraction in Brooklyn, New York. Its origin story is even better. It was first built in 1922 by the famous Philadelphia Toboggan Company and was scheduled to be dismantled in the early 1980s. Then local artist Jane Walentas saved it from auction and spent years restoring it. The carousel is a work of art, with 48 hand-carved horses and two chariots. Taking a ride on this carousel will transport you back in time. Carousels make it fun to take a seat and watch the world go by for a few minutes. Be sure to check these out!